Horst Engel is the hero in The Melody of the Soul. He is the Nazi officer billeted in the flat below the Jewish heroine. As the story moves along, you’ll find that Horst has a tortured past. Much like David’s harp playing calmed King Saul in the Bible, Anna’s music soothes Horst. Horst’s father was a committed, high ranking Nazi who longed to see his son succeed in the party. He pushed Horst to work harder and take a more hands on position in the military. Horst, however, has different plans for his life. He is an architect and is thrilled with his new assignment as Minister of Architectural Preservation in Prague. While this position is one that I created myself, it does make sense in the story. Prague boasted many fine examples of architecture. Because the German army entered the city without a battle, no bombs destroyed the beautiful buildings. The Germans were interested in the city’s architecture and didn’t want to see it destroyed. It’s conceivable that they would have marked the buildings they wanted to save in case it became necessary for them to bomb the city. While he does not play an instrument like Anna does, he does appreciate good music. When he was a child, his mother took him with her to symphony concerts. At first, he didn’t care for them, but as he grew, he learned to appreciate the music. He is very familiar with the selections Anna plays. It is the music that draws them together despite their different backgrounds. He is also artistically gifted. In the story, you’ll see him sketching different buildings around Prague. He also keeps a sketchbook nearby and draws in that from time to time. He’s a gifted man, protective of those he loves, and wanting to do what is right to make up for the crimes of his past. Though he and his father have a tumultuous relationship, he and his mother are very close. When you read The Melody of the Soul, you’ll fall in love with this Nazi officer who turns out to have a sensitive side. 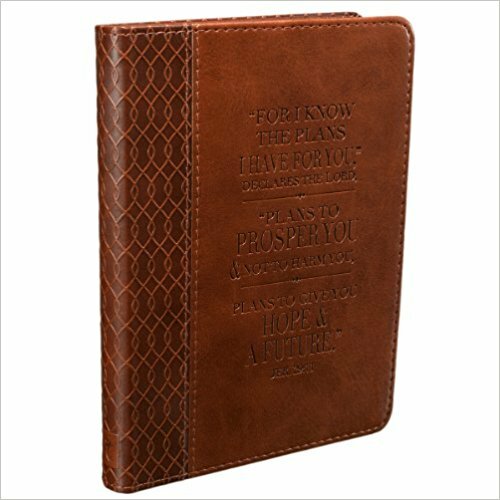 Because Horst has a journal, this week’s giveaway is a beautiful Scriptural journal. Follow the directions below to enter. I would love to visit Rome with my family. Amsterdam, especially during tulip season! I can only imagine how beautiful it must be & how wonderful it would smell! Can’t wait to read The Melody of the Soul! I’m not a foreign traveler so no place I would really like to visit. I have heard Ireland is beautiful and I have great-greats that are Irish. Also, I have subscribed to your newsletter. had come to the States to vacation in Florida where I was visiting a friend. Since that time, these ladies became friends with my friend and visit her every Christmas! Nevertheless, I’d love to visit Vienna one day! The more I read about this book, the more I want to read The Melody of the Soul. I would love to visit the Netherlands. Visited Rome but was on a cruise would like to have more time there. I would love to visit London, England. Rome would be interesting, but I would really love to visit London. I was fortunate to travel to Europe with my high school choir, so I’ve seen Paris, Salzburg and Munich, but I would love to visit the British Isles. I would love to see London. As far as capitals go, I’ve had the pleasure of visiting Paris, Amsterdam, and Sofia. Truthfully, foreign travel kind of freaks me out given all we’ve seen on the news this past year. If I could muster my courage, I would like to visit Dublin and Bern. My husband has family in Ireland and I’ve always enjoyed the picturesque scenes of the Swiss Alps. Mine would be Dublin…land of my ancestors. I want to see London ! It has always been a dream to visit Amsterdam since that is where my family came from! I would love to visit Germany and surrounding countries! I’m learning German right now so it’s been fun finding phrases in The Melody of the Soul that I recognize! This book sounds very interesting! Thanks for this opportunity! There are many places I would like to visit but my dream trip is to Jerusalem. I hope to go there one day. I would love to visit Germany again. I’m eager to read The Melody of the Soul since I was just in Prague this past summer on a mission trip and I also love WWII novels. I’m not very interested in foreign travel. I have visited Reykjavik several times while living in Iceland. I would go back there. Beautiful country. Blessings and congratulations on your new release!